Easier ticket purchases = more ticket sales! Everyone is already using Facebook, get ahead of the social game and provide easy ticket sales in the same convenient location. We're here to ensure your customers have a hassle-free online buying experience. 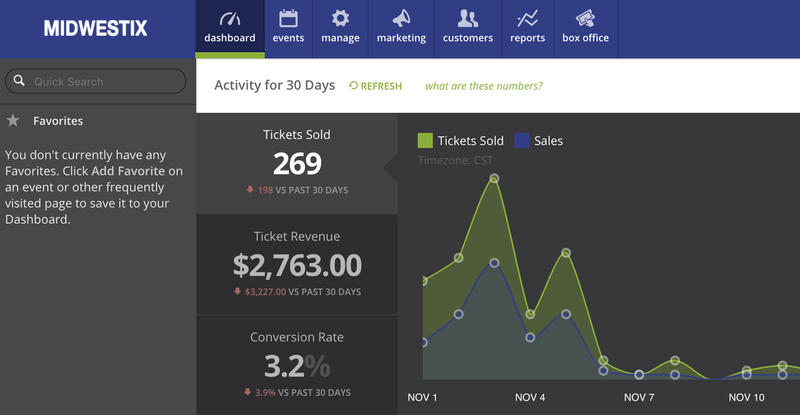 From high demand on sales to exclusive member registrations, the MIDWESTIX event ticketing system makes online purchasing easier. Let your customers decide their own Best Available. 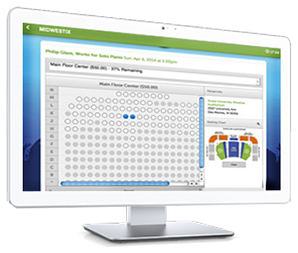 Selling tickets to specific seats doesn’t have to be confusing; our system supports easy purchasing for your customers. Just send us a detailed version of your seating chart, and our team will virtually construct your venue online. You can even allow customers to choose where they want to sit with our interactive seat map, Select My Seats. Control all your tickets in one place! 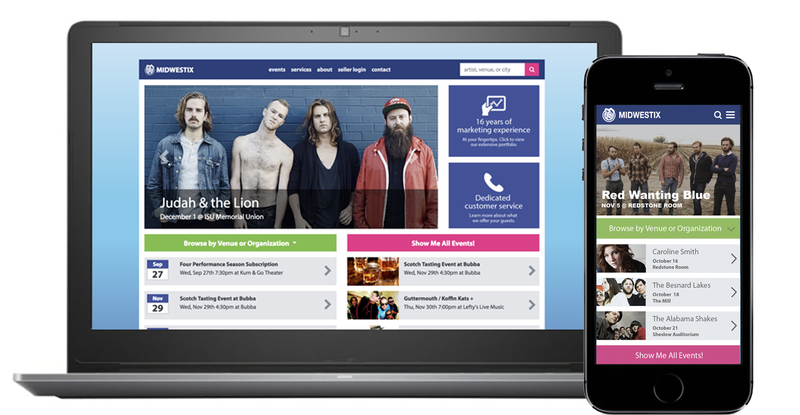 • Manage inventory for GA or reserved seating events. • Create unlimited price levels, discount coupons, presale codes and more. • Offer convenient delivery options, such as print-at-home or mobile tickets. • Survey your customers with custom questions during checkout. • A robust reporting section to track all our customers and sales. Have instant access to real-time event data right from your mobile device. Sign in to our real-time analytics app, Live, for an instant update on your sales, or track your success at a glance by keeping Live on a second monitor. 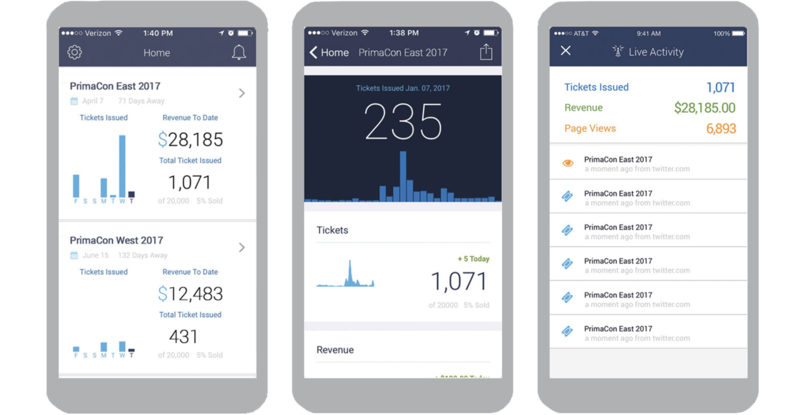 With our companion iOS app, you can monitor your ticket sales anywhere. Use our report builder to customize how you want your information or run a comprehensive Event Audit report. It will give you an entire sales overview in one place, including revenue, ticket inventory, discounts, donations and other essential data organized by price level.